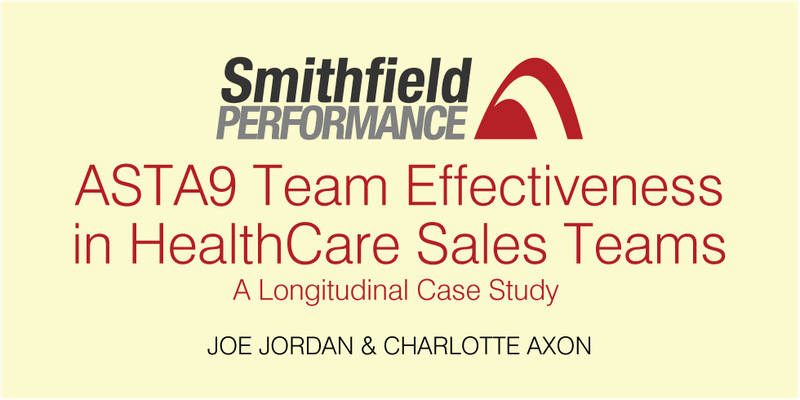 This is a report by Dr. Joe Jordan and Charlotte Axon from Smithfield Performance on a longitudinal case study of team effectiveness in a Pharmaceutical Healthcare Company based in the UK. Using five sales teams operating in the highly specialised biosciences field we measured team effectiveness on a pre- and a post- basis with the ASTA9, our team performance survey. We report the differences in profiles across a twelve month intervention period and report on the usefulness and efficacy of a variety of team effectiveness interventions.